The area sports an abundance of indigenous trees where over 280 species of bird life can be found. The view across the lake and camping sites or from our comfortable and spacious rondavels are stunningly beautiful and is nature's own gentle relief from the stress and strain of modern life. 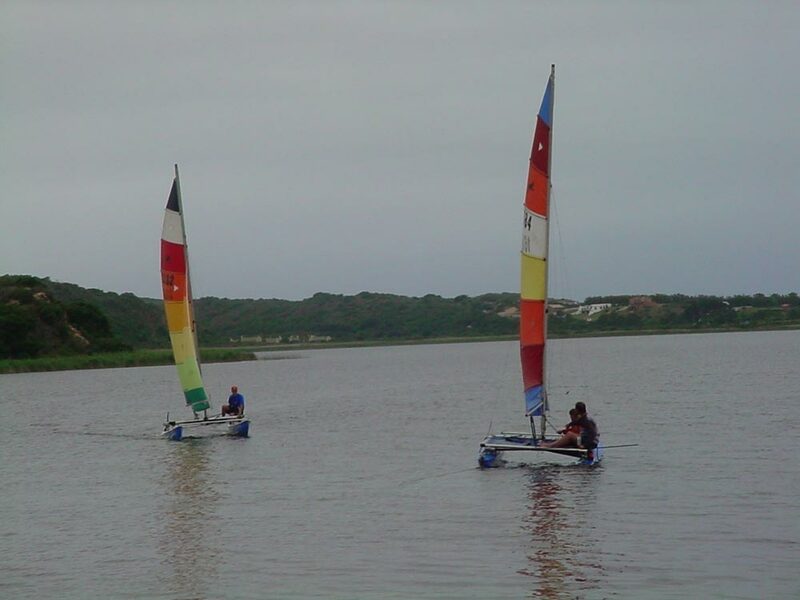 Island Lake Holiday Resort is situated on the shores of the beautiful Island Lake in the spectacular Wilderness National Park, right in the heart of the famous and majestic Garden Route. We are only a 20 km drive away from either George or Sedgefield & 47 km away from Knysna, with the village of Wilderness, a few minutes away, where restaurants, take a way's, supermarkets and pubs are to be found. This is an ideal holiday get-away, annual vacation or motor home stopover. We offer you 55 well-grassed, shaded and level stands. Each site that has 10-amp electricity, is large and spacious, with drinkable water taps nearby. From most sites you have a glorious view of the lake and launching facilities for your canoe or speedboat within sight of your stand or rondavel. Water skiing on the lake, fishing - where various type of line-fish can be caught, swimming or simply relaxing on the water's edge of the lake is right on your doorstep.